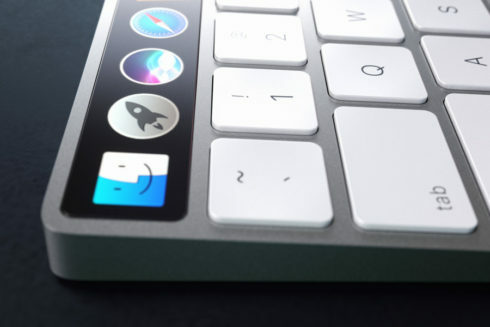 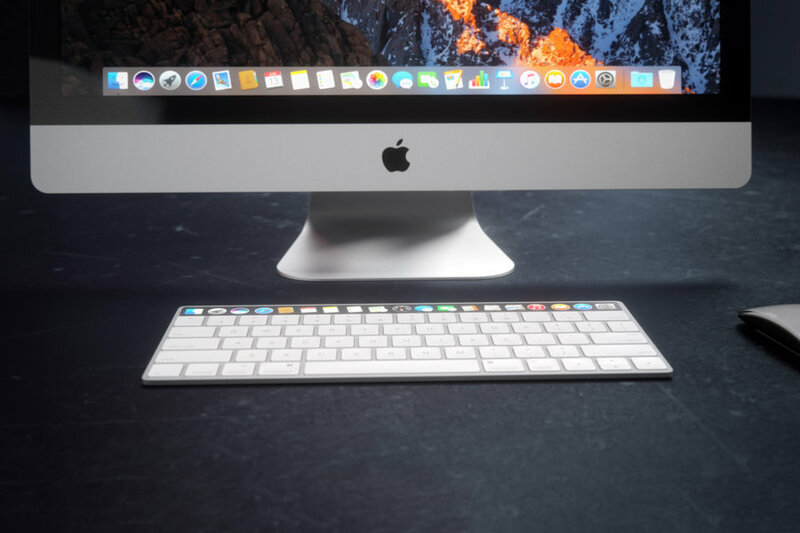 Everyone expected that we would see an Apple MacBook with OLED keys at the top of the keyboard, or better said an OLED secondary panel in that area launched at WWDC 2016. The event passed and we are only left with concepts of such a feat, that even include a standalone keyboard. 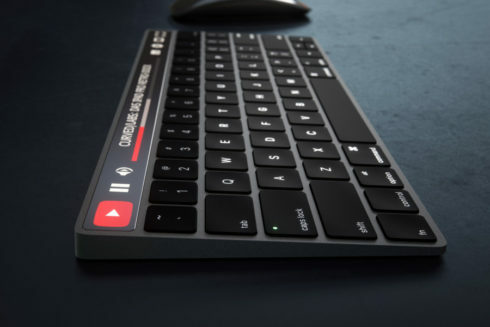 Yes, I know it’s not a concept phone, but humor me on this one and let’s enjoy a quality design. 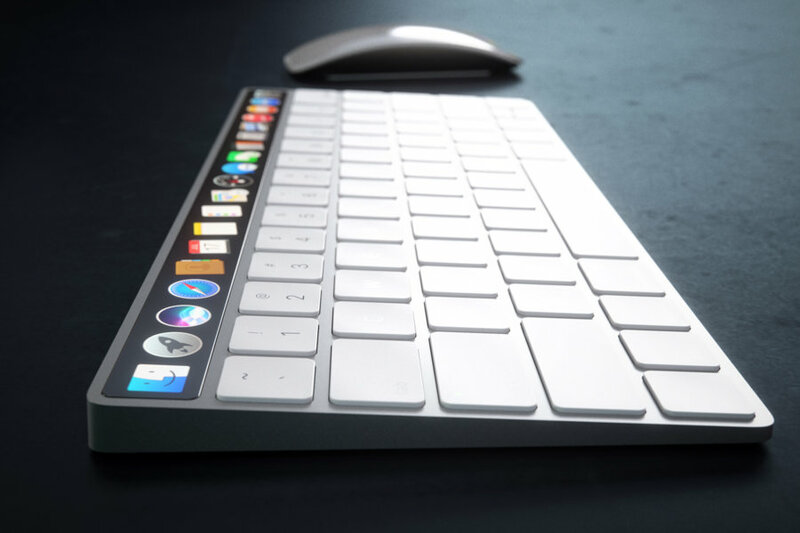 The Magic Keyboard with OLED keys is the next logical step, if you ask me. 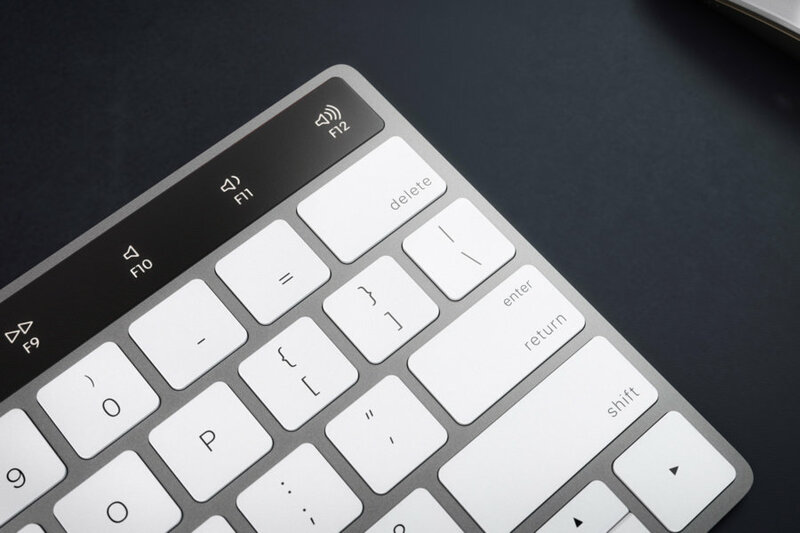 Since the re engineered MacBook with such keys will eventually happen, time to look beyond and towards accessories. 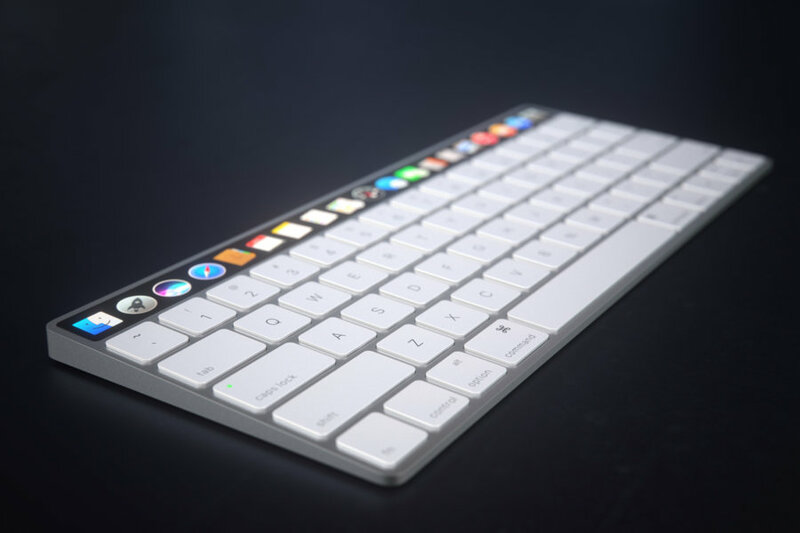 The row of OLED fn keys will replace the current functions keys. 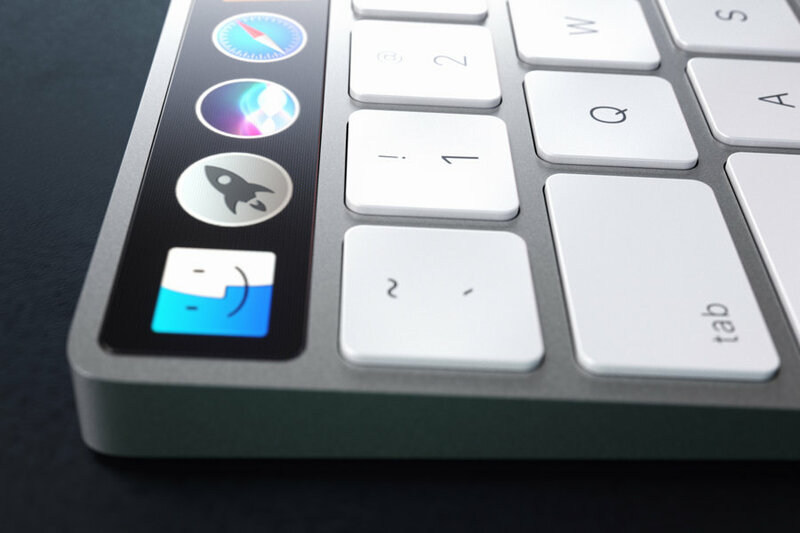 The most important feature here is the touch sensitive mini screen, with customizable icons shown. There will be adaptable favourite keys and keys tailored for each app. 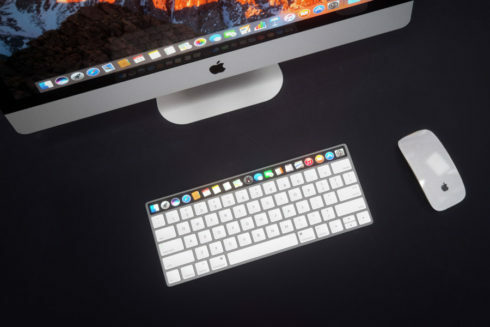 So basically, you enter an app and keys change. The OLED touch panel also adapts to media playback, showing the YouTube progress bar, play buttons for Spotify and more. 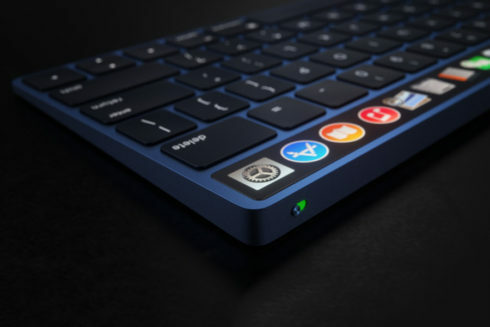 Gaming functionality would also be nice. 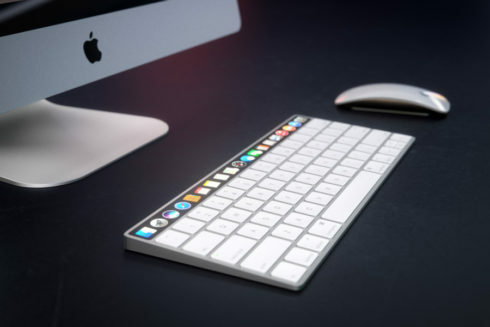 The iMac, Mac Mini and Mac Pro would be compatible with this keyboard.